My favorite colors and I love the prints. Thanks for the chance at this wonderful bundle. Wow Ashley thx for the chance to win these bundle. 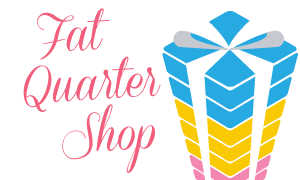 Love FQShop!! Ohhh, those gorgeous blues! You picked a good bundle for sure. Thanks for the chance to win them! 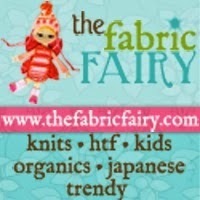 Love these fabrics - thanks for the chance to win. Love, love, love this colors you picked and the cute block. Those are such lovely colors! I'm sure they will make a great quilt. Those colors look fantastic together! Love those beautiful blues - and such original basics too! Beautiful colors! Thank you for the chance to win them. a cute block! I love the blues you chose! thank you! Your blocks are wonderful! They look so crisp and fresh. I'd love a chance to win your very generous giveaway! What beautiful colors! This may end end up on my wish list! Love the blues and the block! ... especially love that neutral fabric with the math equations on it. Could you possibly tell me what it is or where I might find some??? 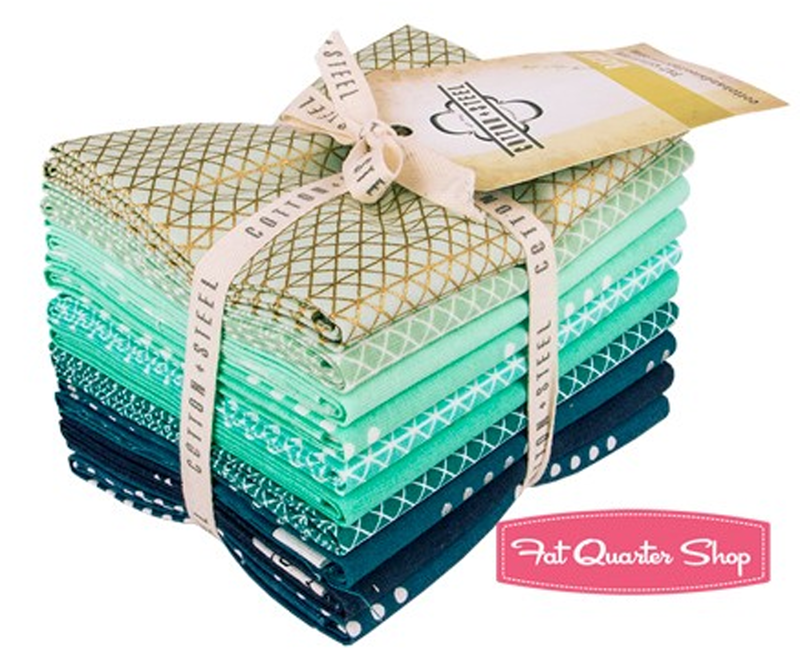 I love the colors in this fabric, thank you for the chance to win this great bundle. Have a wonderful day. Your mini is going o turn out awesome! So pretty! I love those colors. I love this bundle, the blocks you made with it are beautiful. 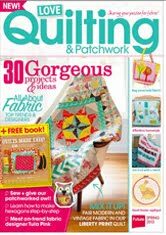 I wonder if it is unique to quilters/sewers to literally drool over fabric. This collection does just that for me. Also, thanks for the inspiration for the X blocks too. They really bring out the colors and textures. Love them! Oh my goodness! Love that bundle! Thanks for the chance to win it! Beautiful colours reminding me of the ocean! Thank you for the giveaway. Hi Ashley! It is really an awesome bundle! I have it on my whishlist... It would be great if I could sin a bundle! Thank youfor the chance! Your blocks are great, I can't decide which is better. I am lookingforward to seeing what you are making of it. I love your pattern and those fabrics. I would love to win the bundle. lnlwhitt@aol.com Thanks for the chance. Looooove the Pattern you chose! & the colors are Awesome!! Love Love Loooove em!! Thanks for the chance to win! As always, beautiful fabrics! Love the teal and blue together. Those colors always make a statement - Thanks for the chance. 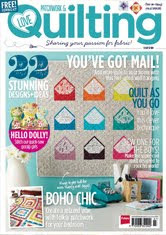 Love your blocks and the gorgeous Splash bundle! Fabulous colours and fabrics. Your block looks fantastic. Can't wait to see the final product. Please explain more about the swap. What are the rules? Just went back and saw you have a link. I'll check it out. Thanks. I love the little bit of bling that the metallic makes! I'm curious about the other fabrics you used as well. Sign me up if we are talking anything in the cool color range; love these! It is a great bundle -- love the blues. Awesome bundle. Love your blocks. Love the color choices. I like x blocks. Very nice. 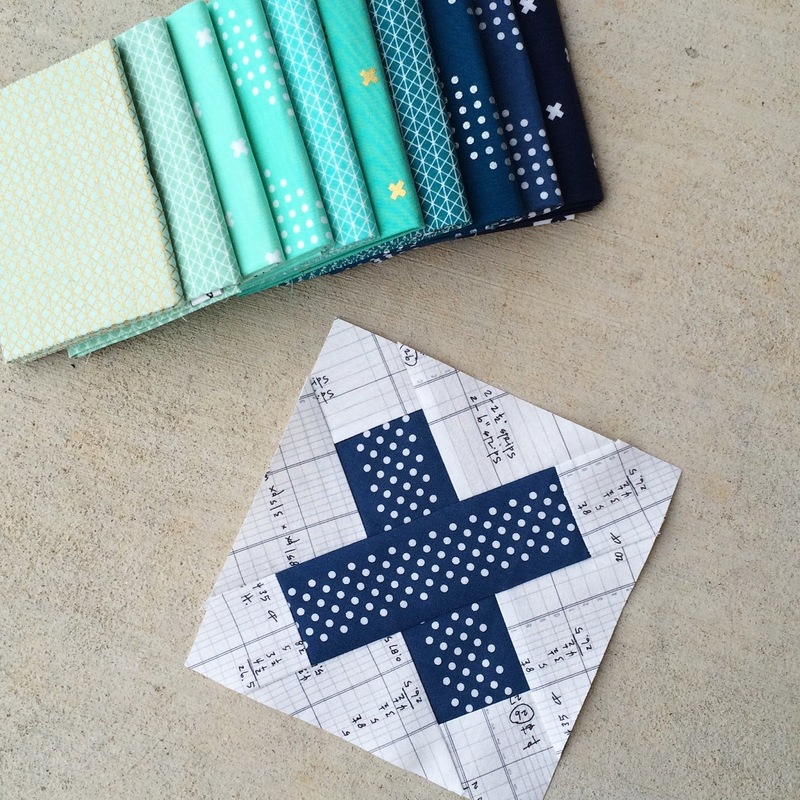 going to make the same cross quilt as you, love those fabrics. Just another gorgeous bundle of fabric I have been wanting to do something with. What a wonderful prize! Crossing fingers and toes ! Oh, I can see these gorgeous fabrics in a lap quilt or a table runner! Someone knew what they were doing when they put these fabrics together! I hope you enjoy your first swap group. I have been participating in swaps for some time now and enjoy them all. I love the C&S basics bundle. I love Cotton and Steel! Beautiful fabric, and good job on the block! Thanks for the giveaway! 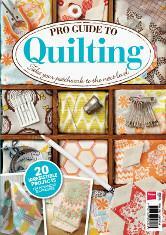 I've been eyeing this same bundle at FQS! I love their store! Thanks so much for the giveaway! I'm going to try out some of these x blocks too! Love the blocks! Can't go wrong with Cotton and Steel! I've been shopping for Cotton and Steel Basics and noticed F Q Shop has this bundle 20% off this month. Splash is perfect for my desire to use non neutrals as background fabric. 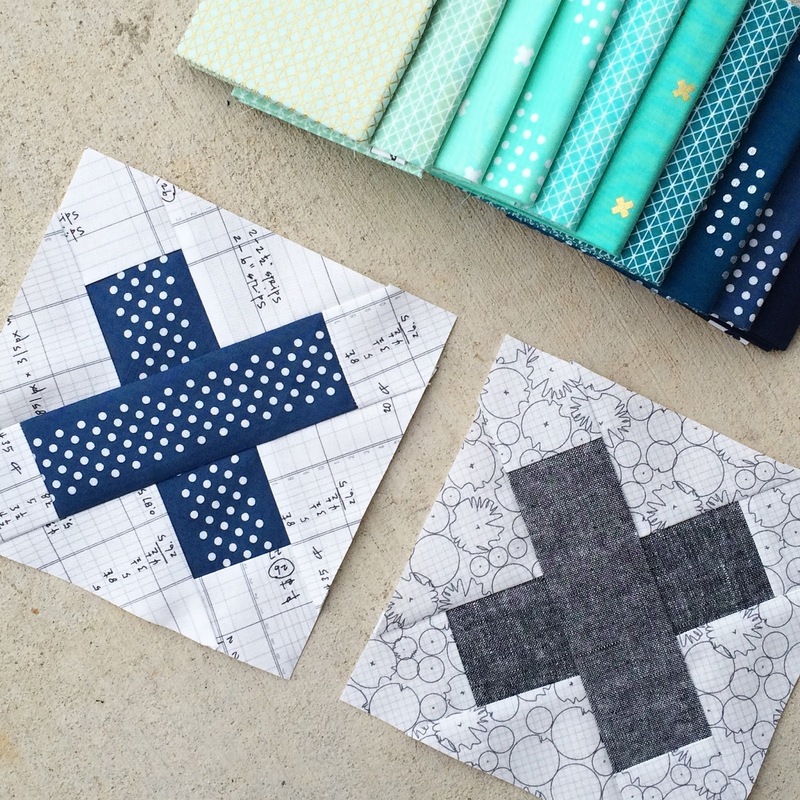 Cool idea , mini quilt exchanges. CHeck that's an idea for 2015! 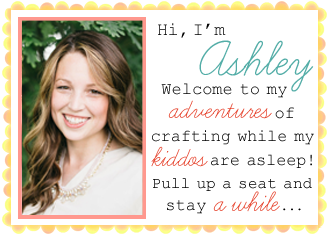 Ashley I'm so Looking forward to seeing your completed Mini X block quilt. 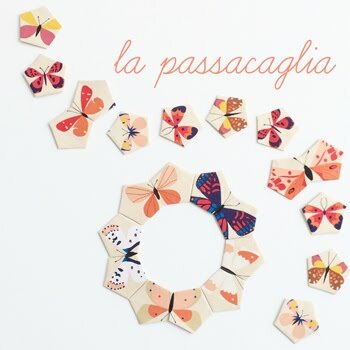 Love what you are making for your swap partner. Thanks for the opportunity to win such lovely fabric. What a fab bundle! Just started collecting fabrics in blues for my girl's very special quilt. Blue is her favourite colour :) Thank you for this chance to win. Love your darling "x" blocks, cant wait to see the project finished. Oooh! What a beautiful bundle!!! I'd love to win it. Thanks for this opportunity and Merry Christmas to you and yours! These really are beautiful. Have fun with the swap! WOW, are they AWESOME or what?!!! Thanks to FQS for offering this bundle!! You ROCK!!! The splash bundle is calling my name, love it. These fabrics are fabulous - love all the colours. Thanks for the chance to win some. This fabric is so cute! Thanks! I love those colors! Thanks! The Cotton + Steel basics are some of my favorite fabrics right now! Especially this color way!!! Love those colors and thanks for sharing. Thanks for the chance! The fabric is lovely.